The carrybag basket is an absolute reisenthel classic. The combination of the aluminium frame and a durable polyester fabric makes the basket the perfect companion for shopping, the next visit to the market or as a picnic basket or other occasions. The classic piece now comes with new touches in the shape of a colourful powder-coated aluminium frame, combined with a simple but eye-catching black fabric. The large capacity of the reisenthel carrybag allows versatile usage. From shopping to picnics, with its surprisingly light weight, the carrybag shopping basket can support heavy loads but is still light and comfortable to carry. A softly coated handle offers high carrying comfort. After a day trip or shopping day, the carrying handles and bag can be folded down for space-saving storage. This way the carrybag by reisenthel can always wait for its next usage in the boot, for example, without unnecessarily taking up space. Inside the carrybag there is also a convenient zipper pocket for a wallet or other small items. In combination with the coolerbag, the carrybag instantly turns into a cooler. The coolerbag is simply put in the basket to keep its contents cool - turning the basket into a practical cooler bag in just a few steps. Individual product image of the reisenthel carrybag frame in the monochrome look. 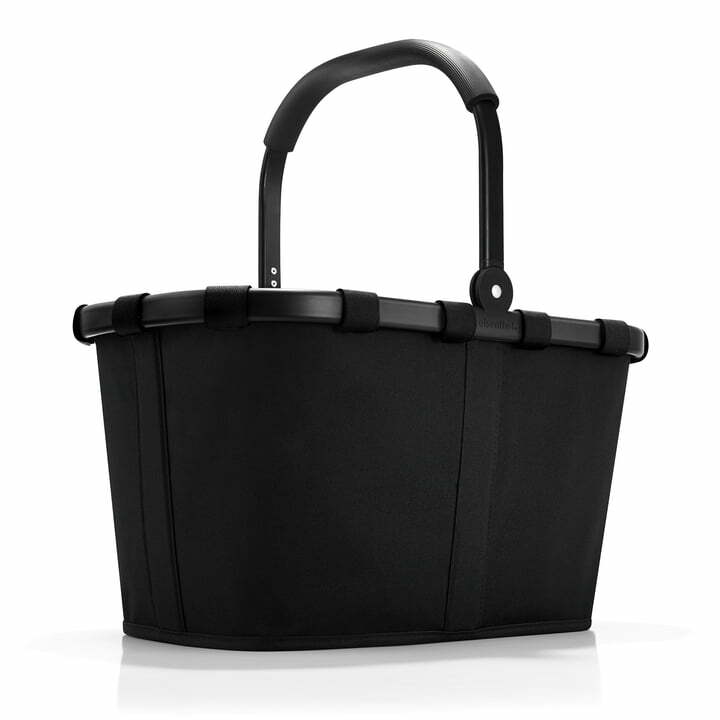 Held entirely in black, from the frame up to the bag, the basket delights with a modern look for young and old.